Pusha-T Shares Official Video for "If You Know You Know"
Following a lyric video and what now looks like a particularly grainy teaser, Pusha-T has shared the official video for DAYTONA opener "If You Know You Know." 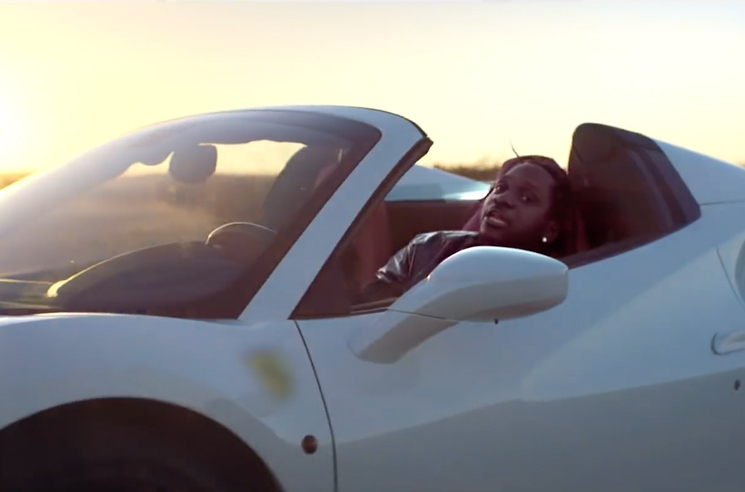 The clip finds Pusha burning up a barren stretch of desert road in a slick white Ferrari, only to be pulled over by the police. The rest of the clip finds him delivering bars amidst a haze of red and blue lights. You can watch the official video for "If You Know You Know" in the player below. Pre-order DAYTONA on vinyl and CD via Umusic.